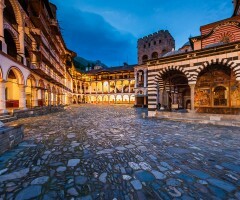 Bulgaria is one of the oldest countries in Europe. 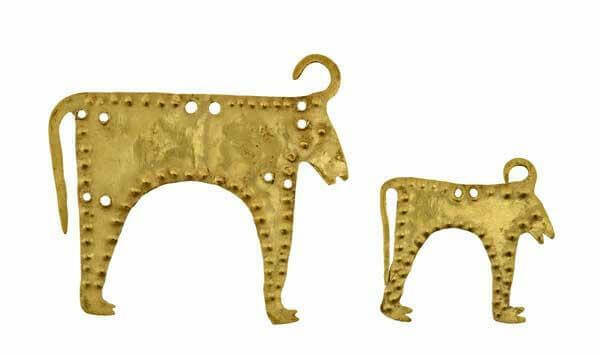 Some of the greatest civilizations in the ancient world have inhabited its lands. 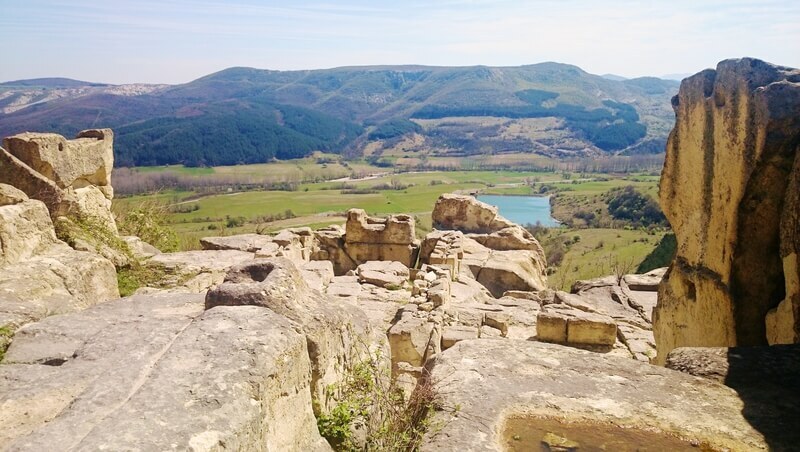 The abundance of mysterious places, ancient treasures and secrets of long lost civilizations, make Bulgaria one of the most adventurous destinations in the world. Sounds scary, but the name has its own explanation. 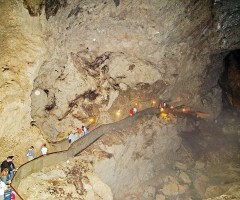 In fact, it is one of the most mysterious and secretive caves in the world. At the same time, once you are already there, you will truly feel the power of the nature. 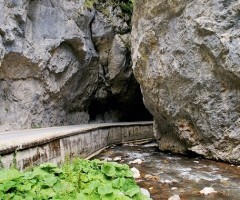 It is located in a narrow troat, deep in the Rhodope Mountains in the region of Trigrad. 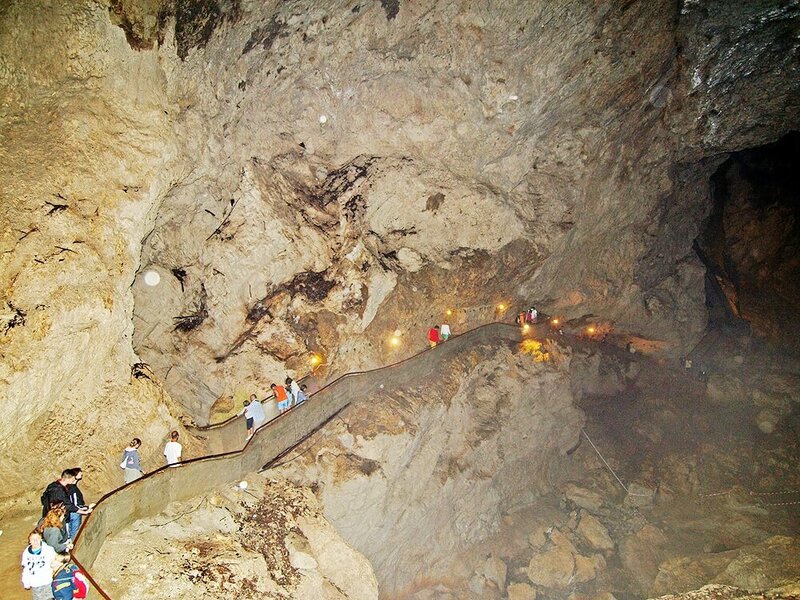 There are dozens of legends and stories about this cave, among which the most famous is about the angels of God who disobeyed him. They were accused in bestowing the forbidden knowledge to the humans. 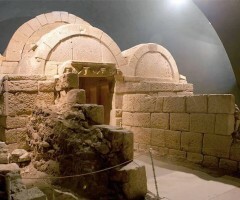 The stories say that after doing so, the angels (known also as Hephilim) were banished to a mysterious underground prison, thought by some to be in Devil’s Throat. 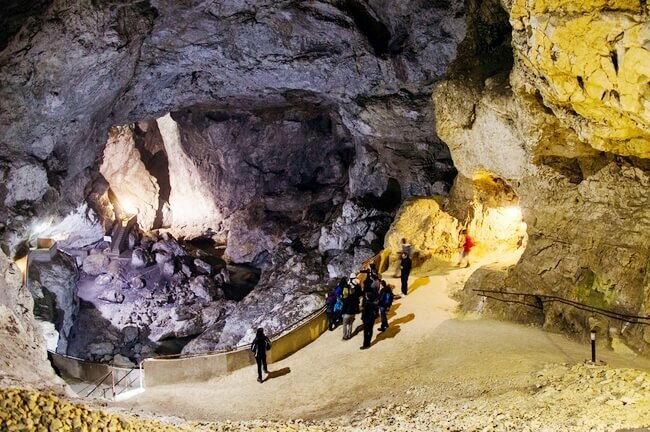 The water from the Trigrad River falls from a height of 42 meters down the cave’ “throat”, making it the highest underground waterfall on the Balkan Peninsula. 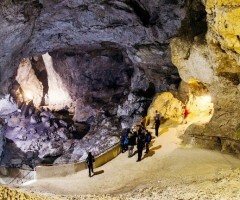 Because of the muffled roar of the waterfall, the cavern, into which it falls, is the second largest cavern in Bulgaria, known as The Hall of Thunder. 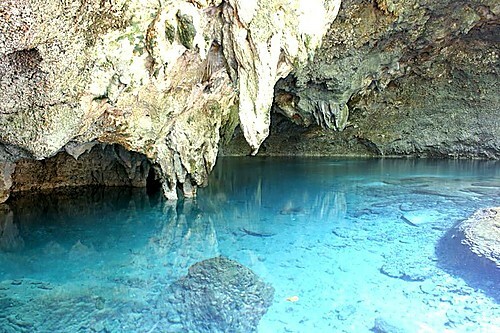 Nothing carried into the Devil’s Mouth Cave by the river emerges from it. Many attempts have been made to track pieces of wood, paint and other materials; however they have all vanished without a single trace. 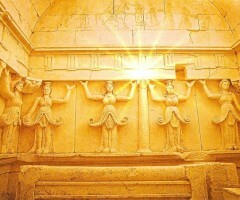 Have you ever wanted to visit a great, ancient tomb, where the beauty of the forgotten civilizations comes back? 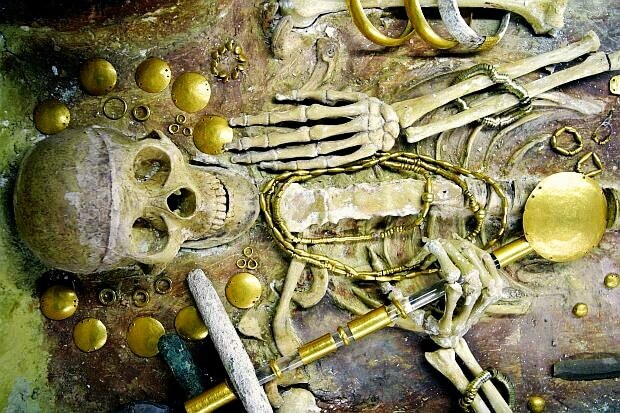 Have you ever wondered how were buried the wealthy kings thousands of years ago? 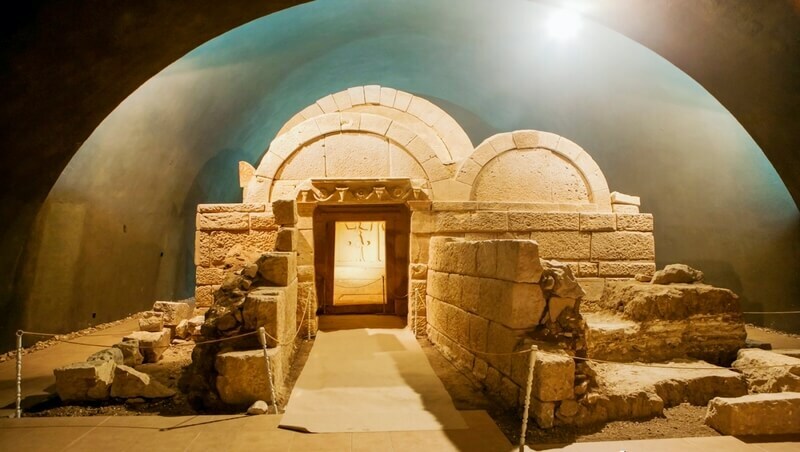 If yes, then we definitely advice you to visit the remarkable “Tomb of the King”, representing the glorious architecture of the Ancient Thracians. 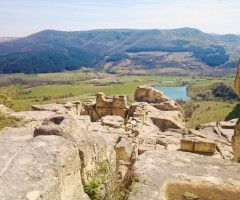 It is located in Sveshtari, northeast part of Bulgaria. 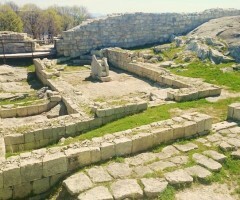 It was constructed in the first quarter of the 3rd century BC. The chamber ceiling is held by statues of women with raised hands – caryatids, whose faces and hairs still preserve the remains of a colorful decoration. 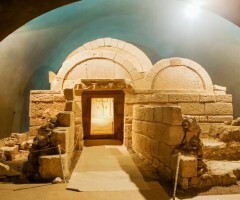 The Thracian Tomb of Sveshtari is in the list of UNESCO World Heritage Sites. 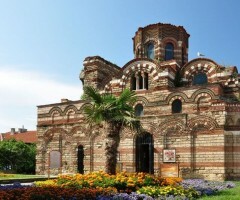 Nessebar is one of the most prominent tourist destinations on the Balkan Peninsular. Over the course of its existence, It has been a part of one of the most powerful civilizations ruled the world. 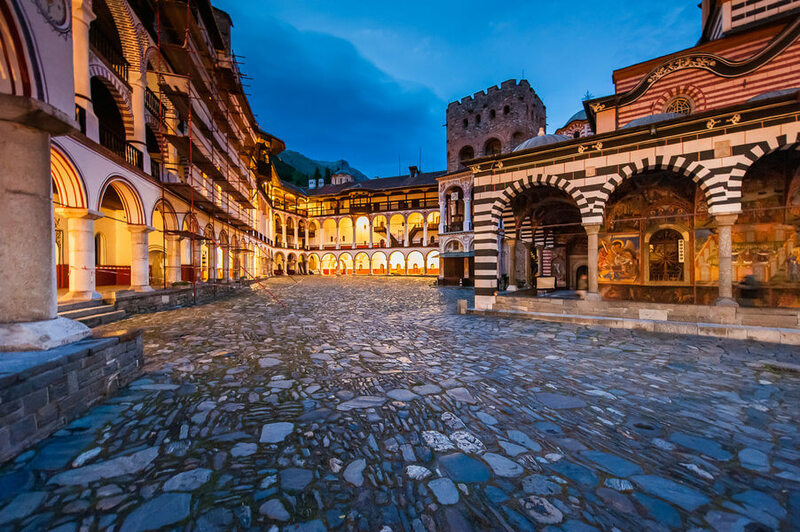 Its architecture is literally an outstanding mixture of ancient Greek, Roman, Byzantine and Old Bulgarian buildings and temples. 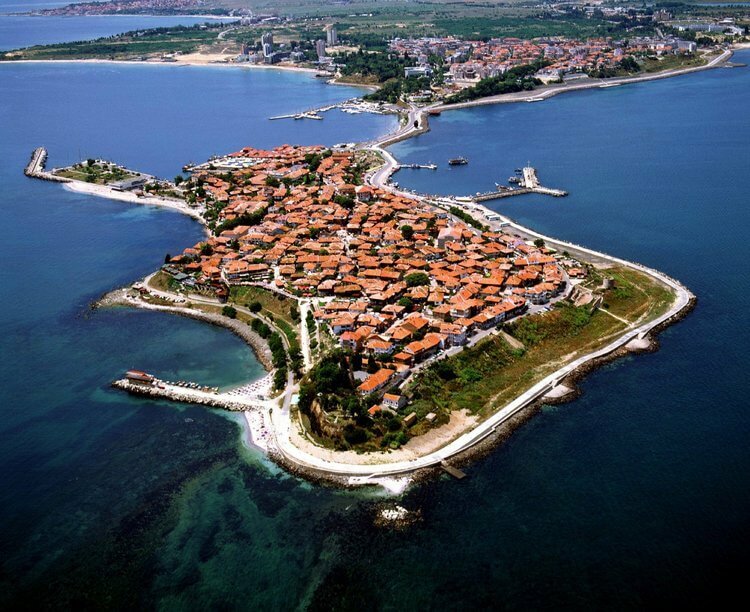 Nowadays, the old town of Nessebar is connected to the mainland by a narrow man-made isthmus, but in the past it was an island. It is next to the largest summer resort of Bulgaria, Sunny Beach, unveiling a breathtaking view on the beautiful coastline. 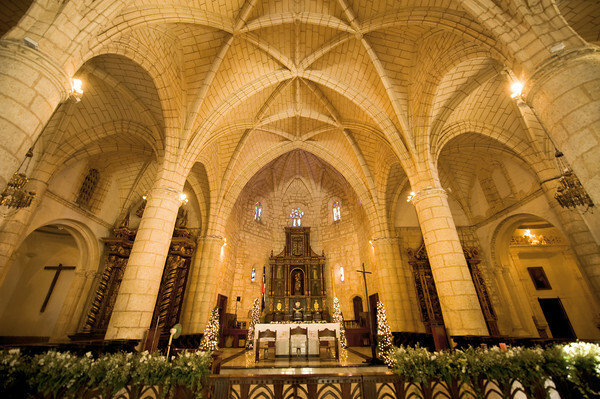 There are dozens of ancient sites and landmarks on the peninsula, however, one of the most distinctive buildings to be visited is the church of St.Stephen from 11th century, famous of its fabulous murals, covering the entire interior of the church. 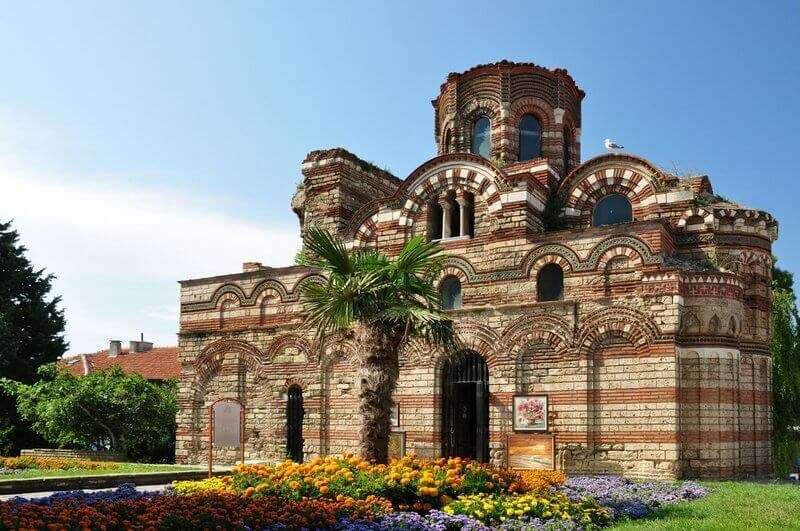 Other significant sights are the Church of Christ Pantokrator, the wooden Windmill and the Church of St.Sophia, built over the ancient Greek Arena. 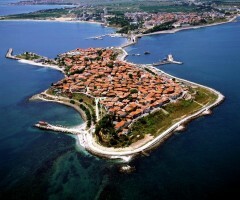 The old Town of Nessebar is in the list of UNESCO World Heritage Sites. 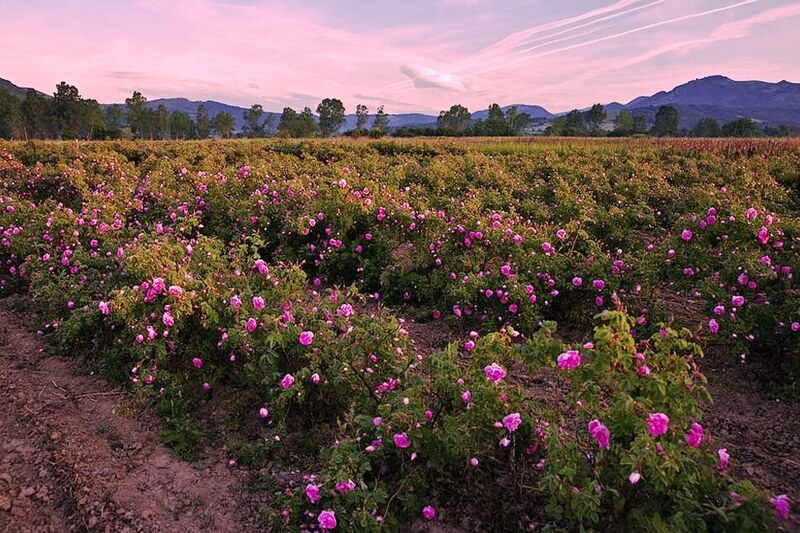 The valley is famous for its rose-growing industry which has been cultivated there for centuries, producing 85% of the world’s rose oil. 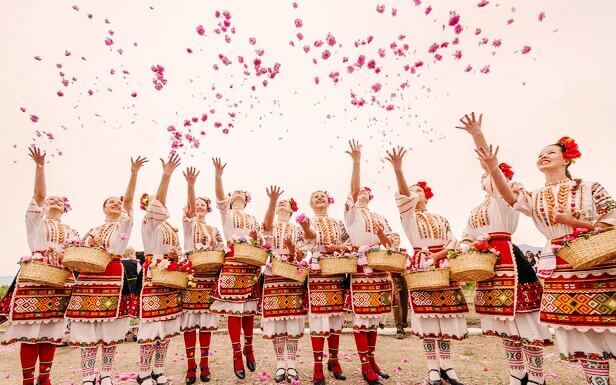 It is believed, that the highest quality of rose oil in the world, comes from Bulgaria. 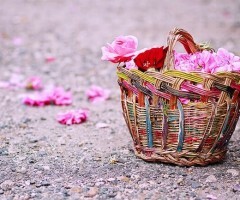 The picking season starts from May to June. 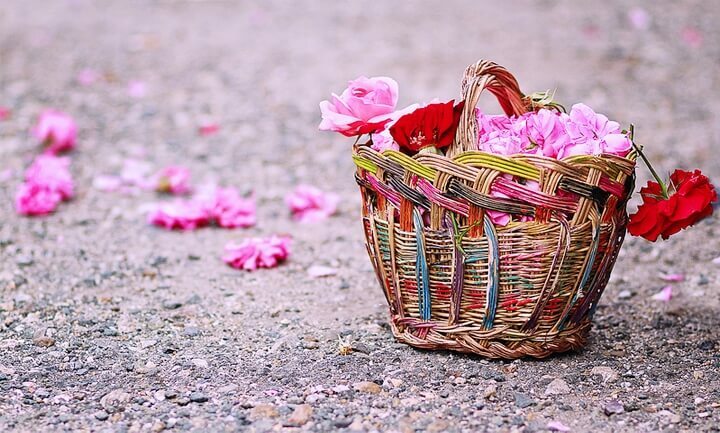 During this period, the area gives off a pleasant scent and is covered with multi-coloured flowers. 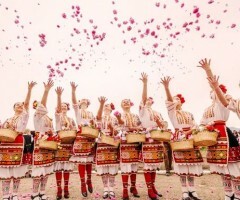 The Rose Festival is a major event, held every year between 15 May and the middle of June in the city of Kazanlak. 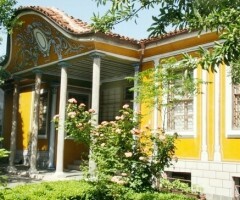 Do not miss the chance to visit the local Museum of Rose, which is the only one of its kind in the world. 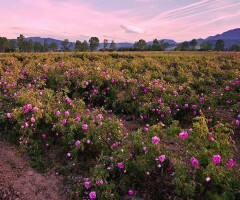 Do you know that, in order to produce only 1kg of rose oil you need nearly 3000kg of rose flowers? Do you want to visit a place, far from everything, high in the hills, knowing, that 5000 years ago it was one of the most sacred places on Earth? 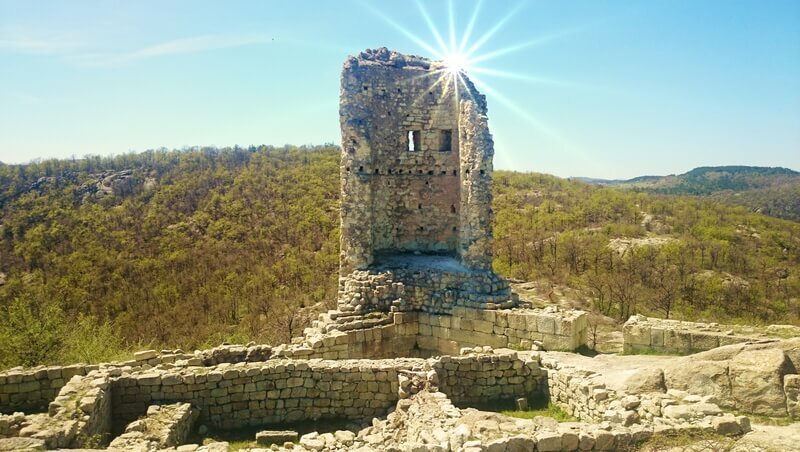 If you would like to visit such an extraordinary place, then Perperikon is definitely your next destination. 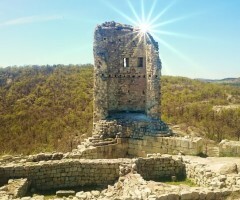 Perperikon is the largest megalith ensemble in the Balkans. 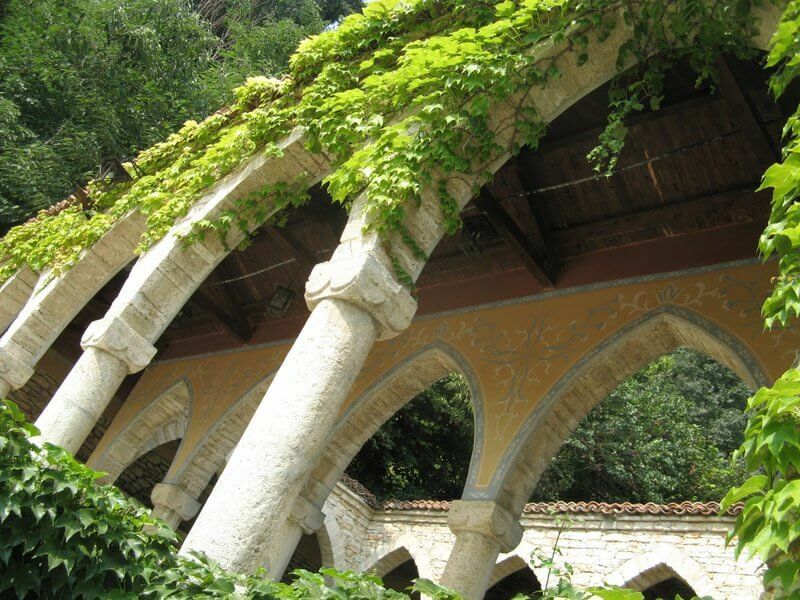 It is thought that the famous Temple of Dionysius is located at this location. The rock city stands on a cliff top at a height of 470 meters. 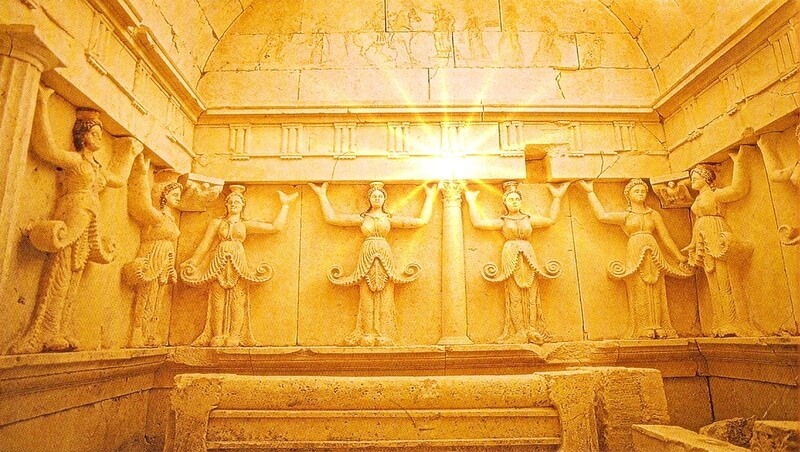 In the ancient world, Perperikon was among the most sacred places, worshiping the Sun God and predicting the fate of many famous rulers and the outcome of historic wars and events. The first traces of civilization on the hill date from the Bronze Age, while the ceramics found on the place date from the Early Iron Age, as well as the impressive round altar, almost 2m/6ft in diameter, hewn out of the rocks. 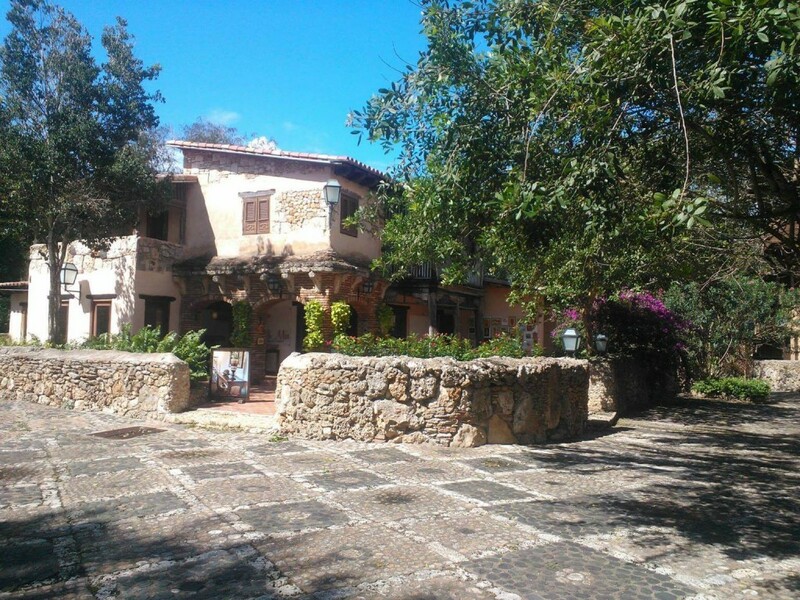 It can be reached by a well-maintained road, and there is a parking lot at the foot of the hill. 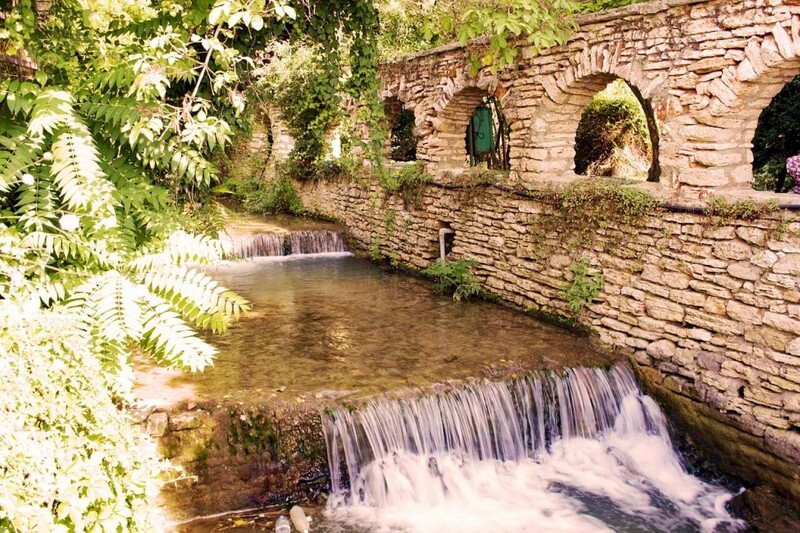 Balchik Palace is a remarkable complex, consisting of a number of residential villas, a wine cellar, a power station, a monastery, a holy spring, a chapel and many other buildings, as well as many royal gardens, contributing to the immense peacefulness of the area. The entire complex was designed as a summer residence for the Romanian Queen consort – Marie. Between WW1 and WW2 these territories were part of the Romanian Kingdom. 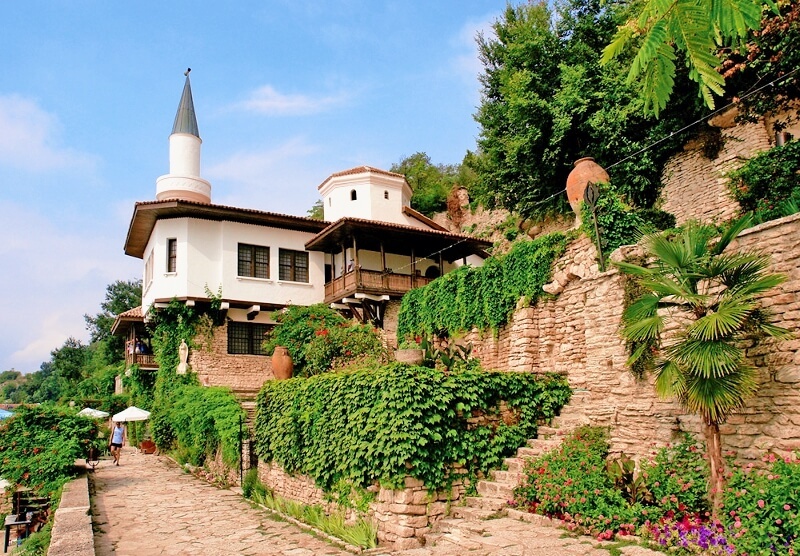 The Balchik Palace was designed by the Italian architects Augustino and Americo, who had the difficult task to build it in a harmony with the nature. Queen Marie was a Baha’i by faith and this gave a reflection to the final design of the palace. You can walk in the Royal Gardens, which accommodate more than 2000 plant species belonging to 85 families and 200 genera. 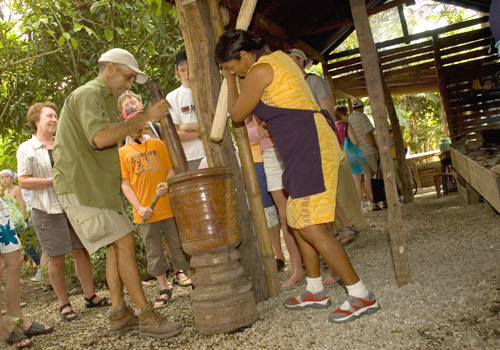 One of the main attractions is the collection of large-sized cactus species from all over the world. The entire complex lies on a territory of nearly 100000 sq.m/ 25 acre. The complex is open all round the year, but it is advisable to visit it during the summer, when you can enjoy the beauty of thousands of flowers. 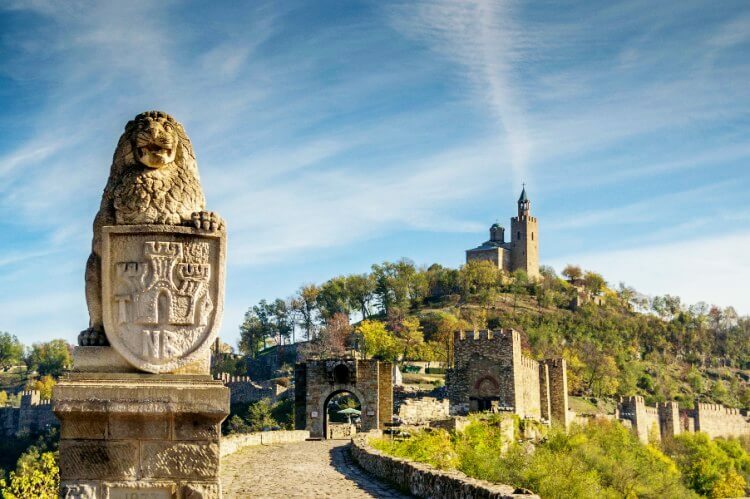 From all of the palaces and castles, Tsarevets is the biggest, most magnificent and spectacular creation of the Bulgarian Kingdom. 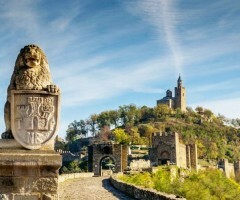 Tsarevets was a medieval stronghold, located on a hill in the city of Veliko Tarnovo. 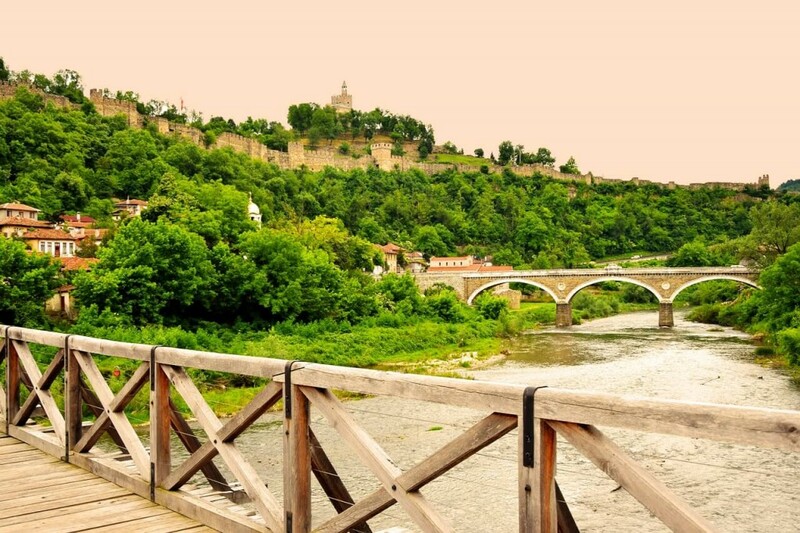 Veliko Tarnovo was the capital of the Second Bulgarian Kingdom between 12th and 14th century. Its grandness was often compared with ancient Rome and Constantinople. The whole stronghold is girdled by thick walls reaching up to 3.6 metres (12 ft) and was served by three gates. 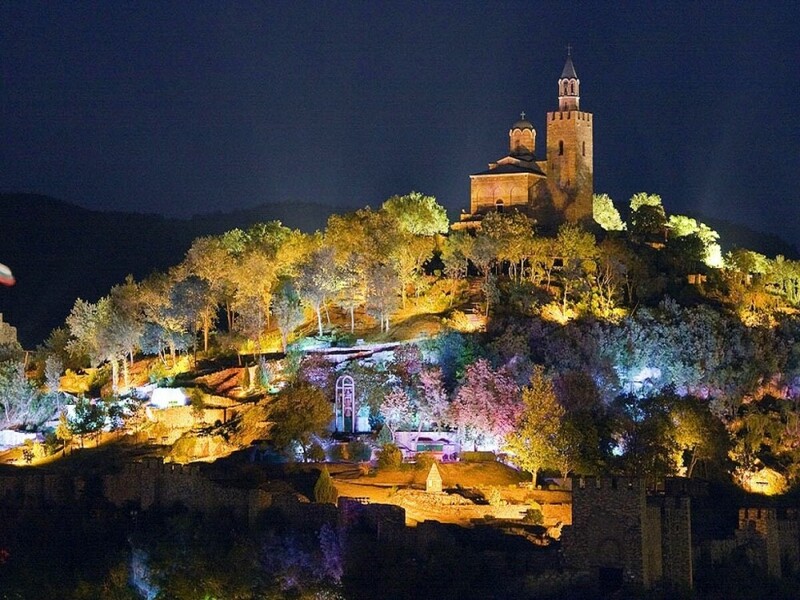 The entire territory of the Fortress is over 100000 sq.m / 25 acres and one of the most spectacular buildings in it are the patriarchate complex, the palace and the Baldwin’s Tower. The Sound and Light audiovisual show is performed during the night and it is a unique attraction that uses hundreds of coloured lights, music and church bells to depict the key moments of Bulgarian history. The sight is open year-round, daily. 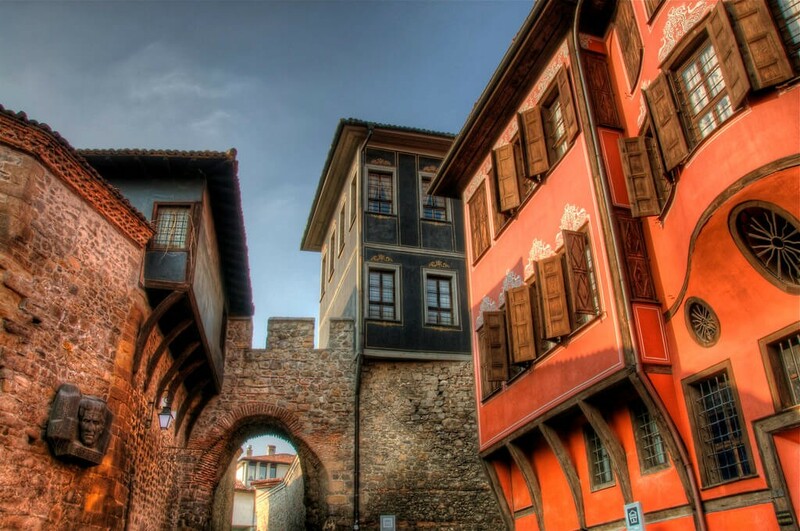 The Old Town of Plovdiv is a well-preserved complex where visitors can observe different historical ages, see ancient buildings adapted to the modern way of life and feel the spirit of the town from the Bulgarian Revival Period. 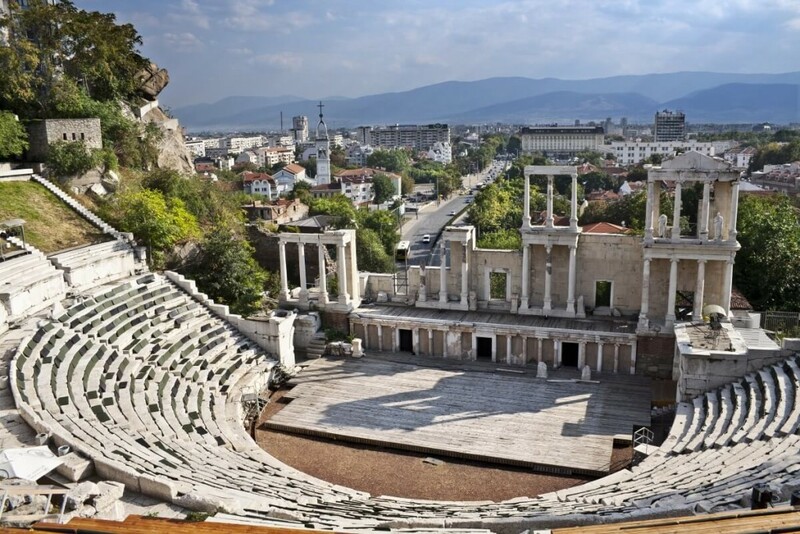 Undoubtedly, one of the most iconic symbols of the old town is the Roman theater, build nearly 2000 years ago, designed to hold up to the whopping number of 5000 viewers. 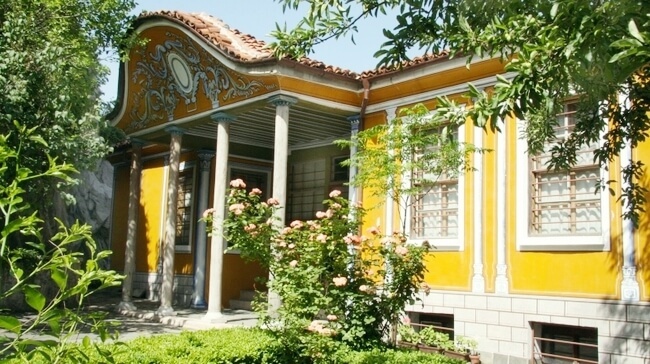 Other significant landmarks of the old town are the beautiful houses of Balabanov and Hindliyan, representing the wealthy period of the Bulgarian merchants from 19th century. 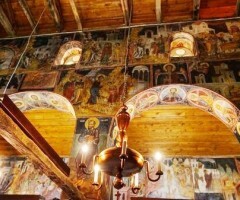 You can also see many unique churches, depicting the Orthodox Christianity of the region. 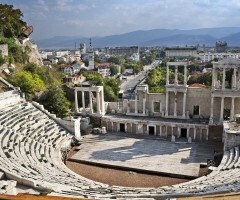 Plovdiv is one of the oldest towns in Europe – it dates back to 4000 years BC. 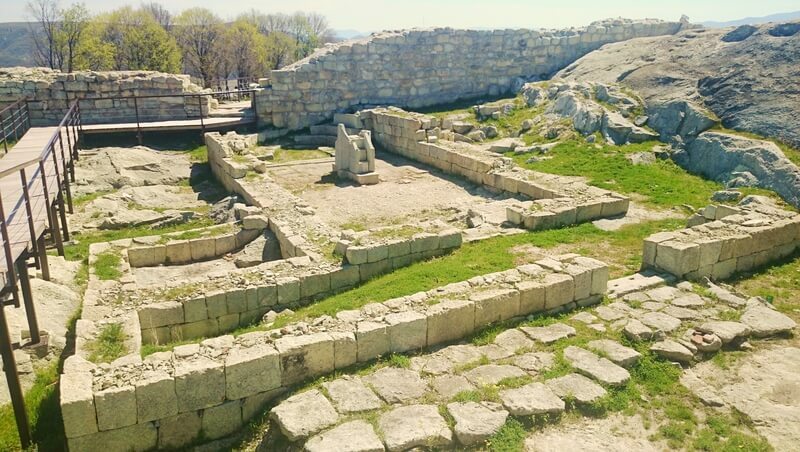 During Antiquity the Thracians set up a fortified settlement that was conquered in the 2nd century BC by the father of Alexander the Great, Philip of Macedon. He was the one, who renamed the city after himself, known as Philipopolis, making it one of the most glorious cities in the ancient world. 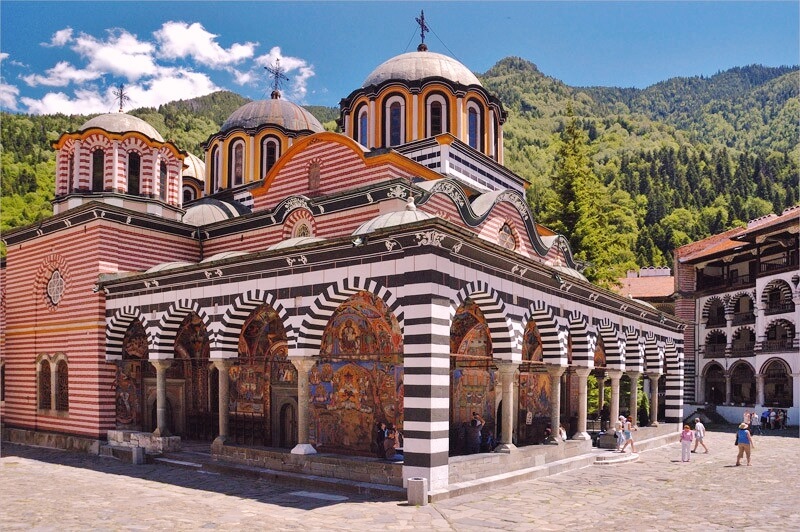 While in Bulgaria, do not miss the chance to visit the Rila Monastery, which is the largest and most famous Eastern Orthodox monastery in the country. 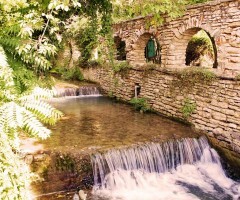 It is in the list of UNESCO World Heritage Sites. 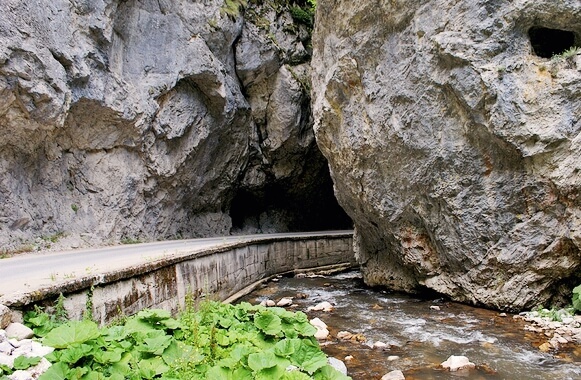 Located graciously in the Rila Mountains, it is 1150m above the sea level. 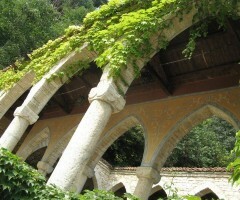 The monastery was founded by the hermit St. Ivan of Rila, whose name it bears. 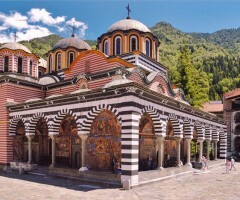 Founded in the 10th century, nowadays the monastery is an example of beauty, divine architecture, holding one of the most sacred icons and relics of the Orthodox Christianity. 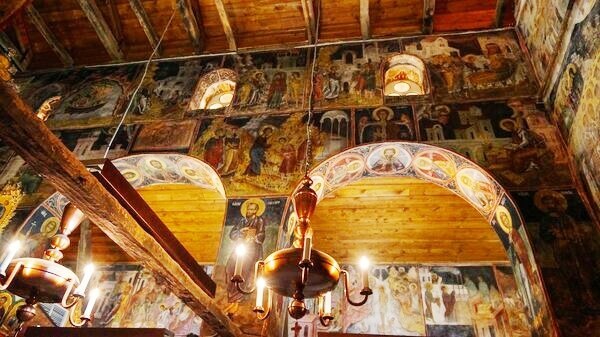 In the main church of the monastery is placed the oldest icon of the Bulgarian Orthodox Church from 12th century, known as the miraculous icon of Virgin Hodegetria, surrounded by the relics of 32 Christian saints. The golden iconostasis of the church is quite impressive, as well. 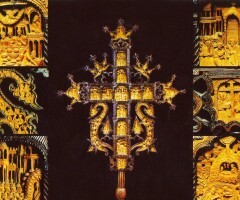 Another important site at the monastery is its museum, housing the fabulous Rafail’s Cross. It was crated by monk Rafail, recreating 104 religious scenes and 650 miniature figures. The work on this piece of art lasted more than 12 years before it was completed in 1802. 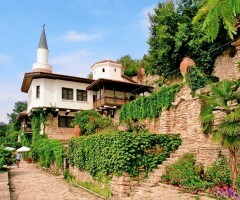 The monastery is open daily for visitors. 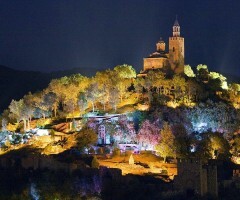 Accommodation is available at the monastery, as well. 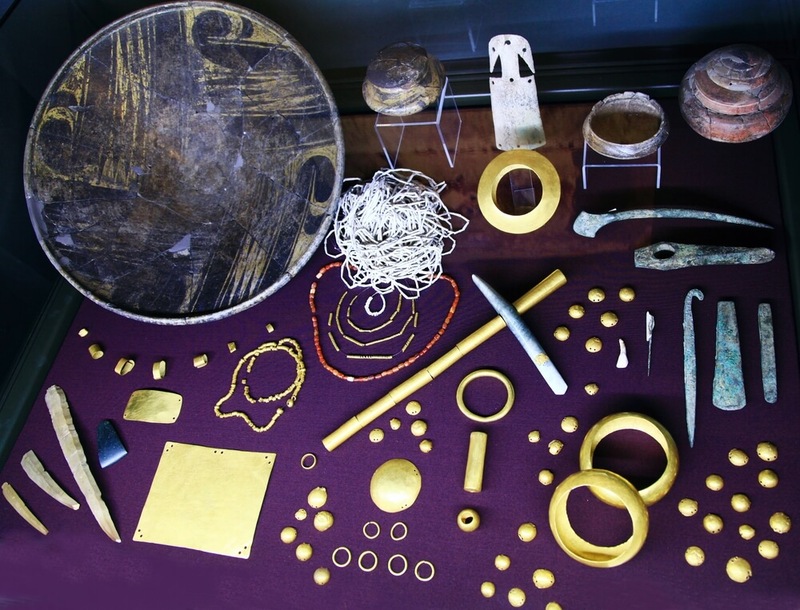 Do you want to see the oldest gold treasure in the world? 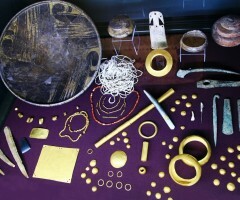 This really exciting treasure is now placed in the Archeological Museum of Varna. 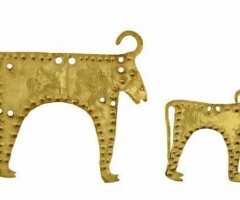 It was found accidentally in October 1972, near the city of Varna. It is more than 6000 years old with a weight of approximately six kilograms. 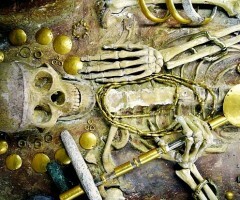 This is one of the most unique and outstanding discoveries of all time. 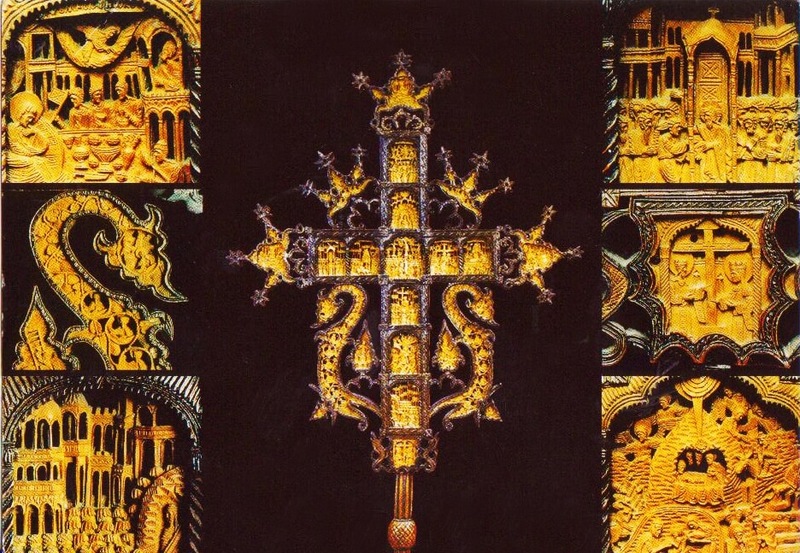 It consists of hundreds of sophisticated ornaments, representing unknown symbols of worship. 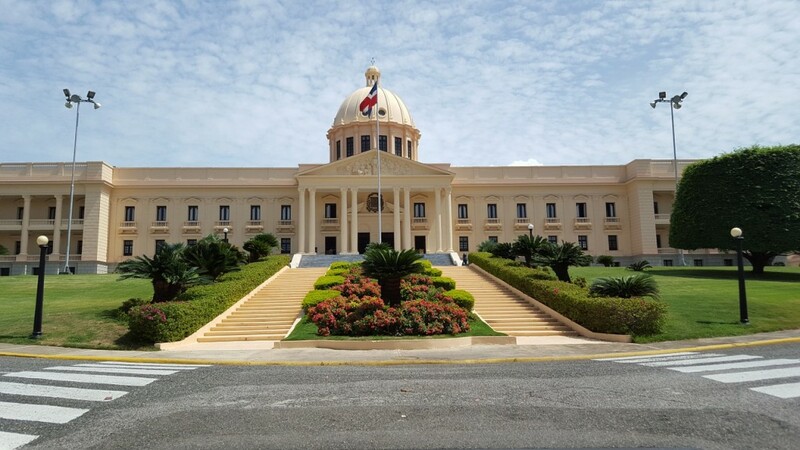 Do you know that now you can visit all of these wonderful places in just one tour? 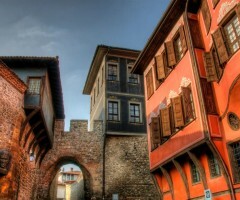 The Grand Tour of Bulgaria is designed to explore the secrets of the ancients. It is believed that Stonehenge was one of the most sacred areas of the ancient world, used for many purposes, including processional and ritual activities. Some say, that Stonehenge is a gigantic astronomical clock, measuring the time and the sun alignment. Its mysterious secrets are still not fully revealed. 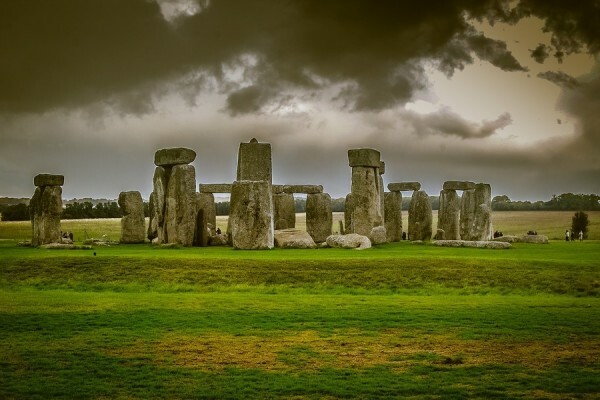 How old is in fact Stonehenge? 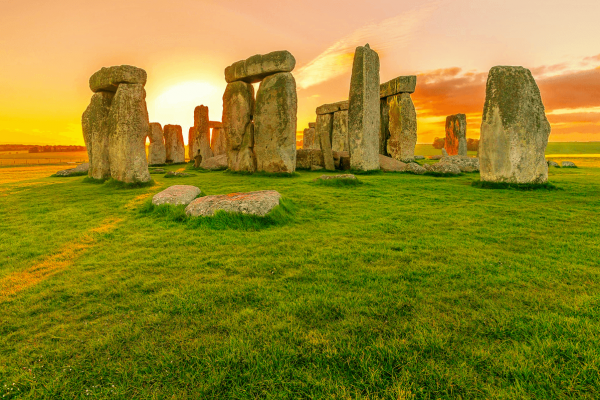 The structure that we call “Stonehenge” was built between roughly 5,000 and 4,000 years ago and that forms just one part of a larger, and highly complex, sacred landscape. However, Stonehenge evolved in several construction phases spanning at least 1500 years. From what is Stonehenge made of? Stonehenge is a complex structure, comprised of large Sarsen stones and Bluestones (smaller stones), all placed in circles. 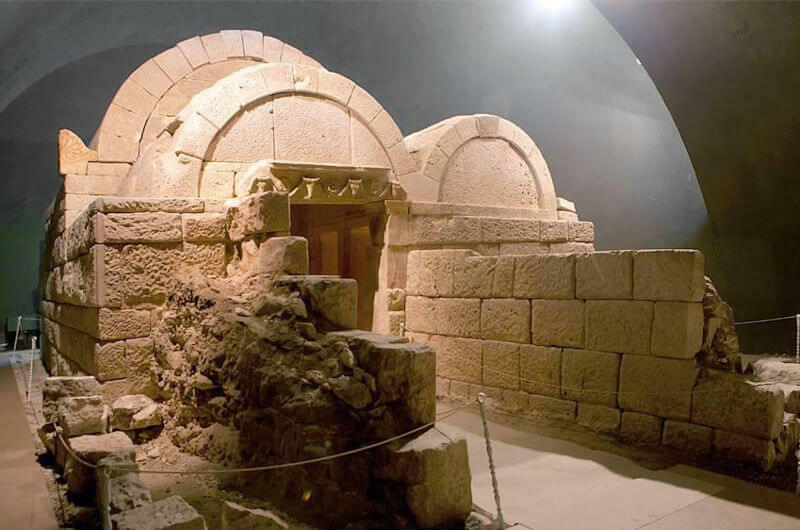 The outer and inner ring are made of Sarsan stones build in a trilithon, a structure consisting of two large vertical stones, supporting a third stone set horizontally across the top. The inner ring represents the highest Sarsan stones, placed in a horseshoe shape. 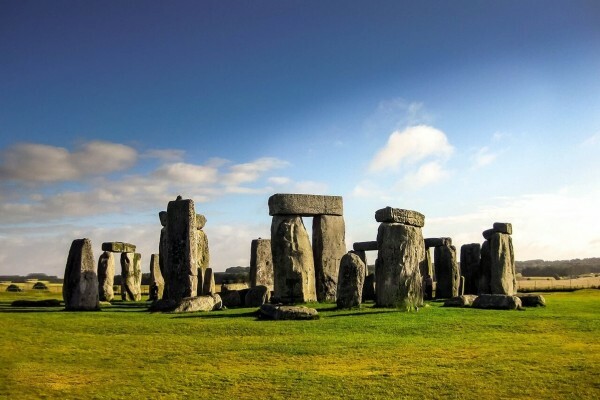 Stonehenge may have had up to 165 stones originally, around 80 Bluestones and 85 Sarsan Stones. Nowadays, only half of the Bluestones and Sarsan Stones remain. 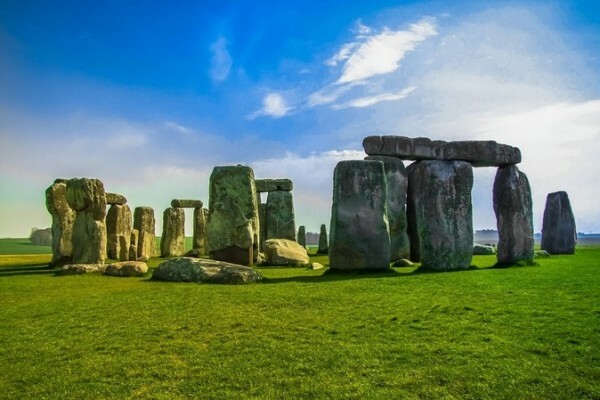 Nobody knows where are the missing stones of the Stonehenge. 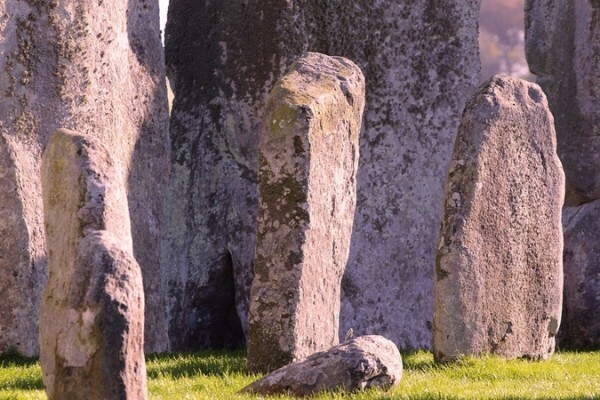 Where did the stones at Stonehenge come from? 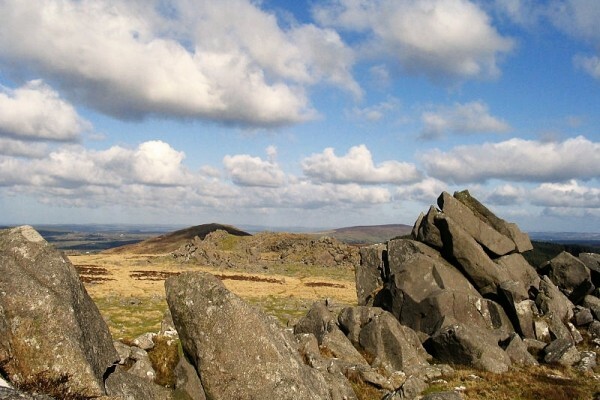 The Bluestones are estimated to weigh between 2 and 4 tons each. The majority of them are believed to have been brought from the Preseli Hills, about 250 kilometres (150 miles) away in Wales. 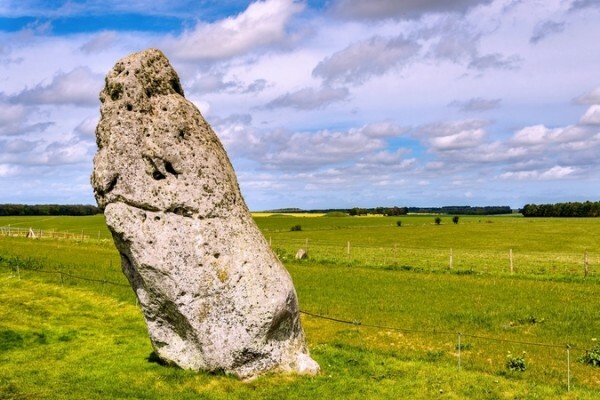 The Sarsen stones are up to 30 feet (9 meters) tall and weigh 25 tons (22.6 metric tons); they are believed to have been dragged from Marlborough Downs, 20 miles (32 kilometers) to the north. Are there stones, outside the outer circle? Yes! Outside the north-east entrance is the Heel Stone, a huge unshaped sarsen boulder with an overall girth of 7.6 metres and weighing about 35 tons. It may have been an early stone at the site, raised upright from its original position nearby. Also near the north-east entrance is the Slaughter Stone, a fallen sarsen that once stood upright with one or two other stones across the entrance causeway. 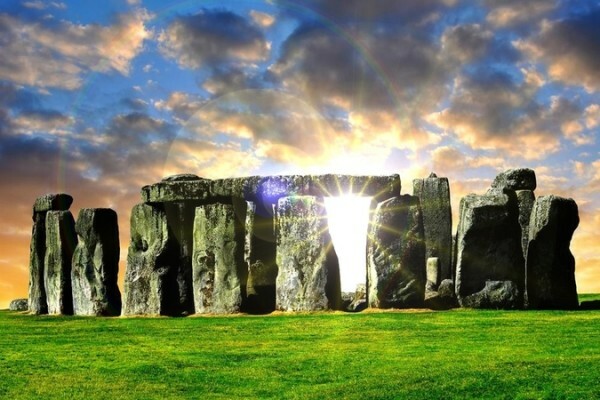 Stonehenge is aligned upon the solstitial axis? 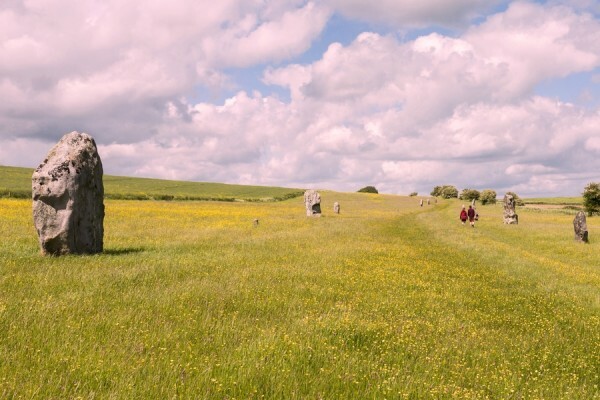 Yes, the main axis of the stones is aligned upon the solstitial axis. At midsummer, the sun rises over the horizon to the north-east, close to the Heel Stone. At midwinter, the sun sets in the south-west, in the gap between the two tallest trilithons, one of which has now fallen. In fact Stonehenge is a part of much larger and very complex structure, which has been recently discovered. A few miles further on lies Avebury, built between 2500 and 2200 BC, shortly after the stones began arriving at Stonehenge. 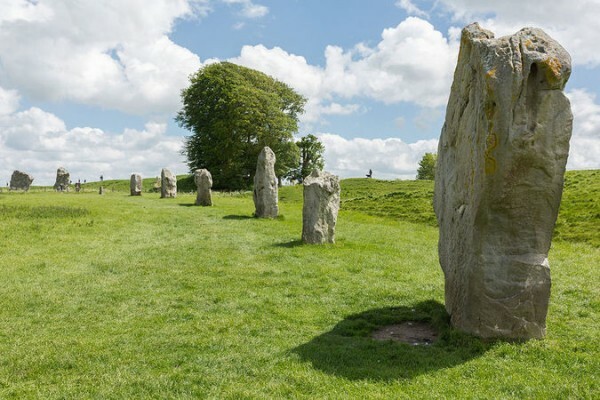 It is the largest stone circle in Europe, containing 100 stones encircled by a 20 foot high ring mound. What about the Stonehenge Avenue? Discovered in the 18th century, the Stonehenge Avenue measures nearly 3 kilometers, connecting Stonehenge with the River Avon. Along some of its length the Avenue is aligned with the sunrise of the summer solstice. At the end of the Avenue, a similar ring of bluestones, Bluestonehenge, was discovered recently. 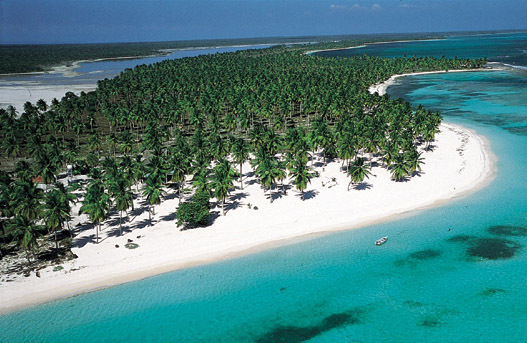 Punta Cana is one of the world’s most famous resorts for a great holiday. 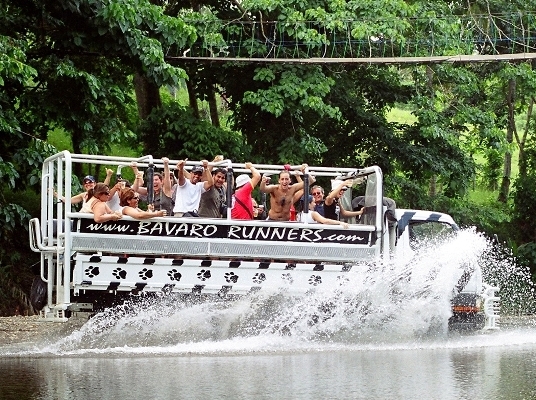 However, if you want to diversify your holiday, you can do 8 amazing things outside Punta Cana resort. 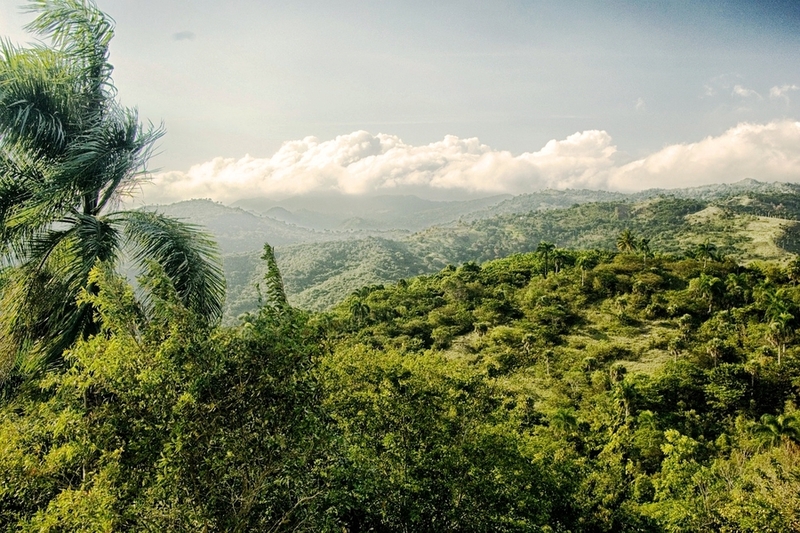 The Dominican Republic has an outstandingly beautiful and wild nature. 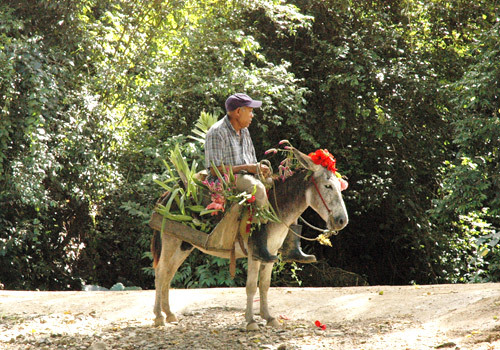 The Safari Tours from Punta Cana, reveal exactly the rural life of the Dominicans, combined with some really pleasant adventures. 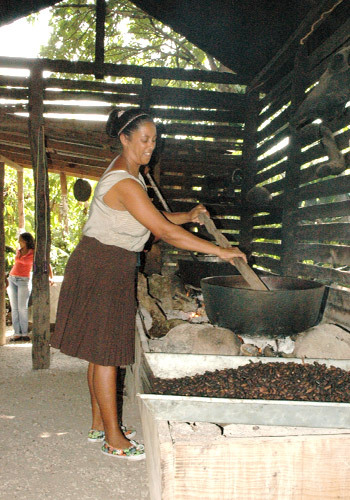 Meet the locals, try the divine taste of the Dominican coffee, explore the sugar plantations, go deep into the forests and sweeten your life with pure natural cocoa. 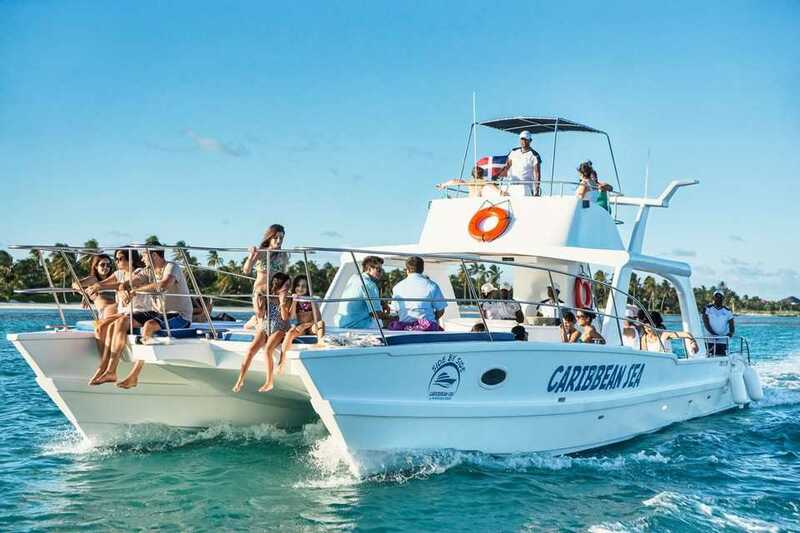 Have you ever wanted to enjoy a journey on a catamaran, while enjoying the pleasant touch of the sun? 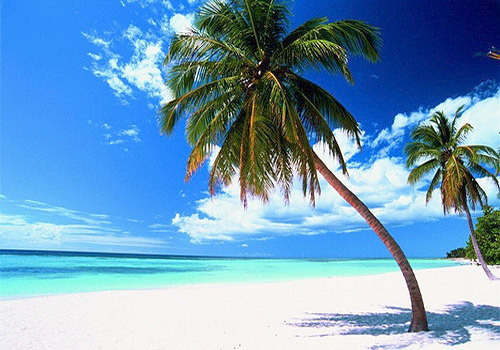 Have you ever wanted to visit a virgin island, full of palms and exotic fruits? 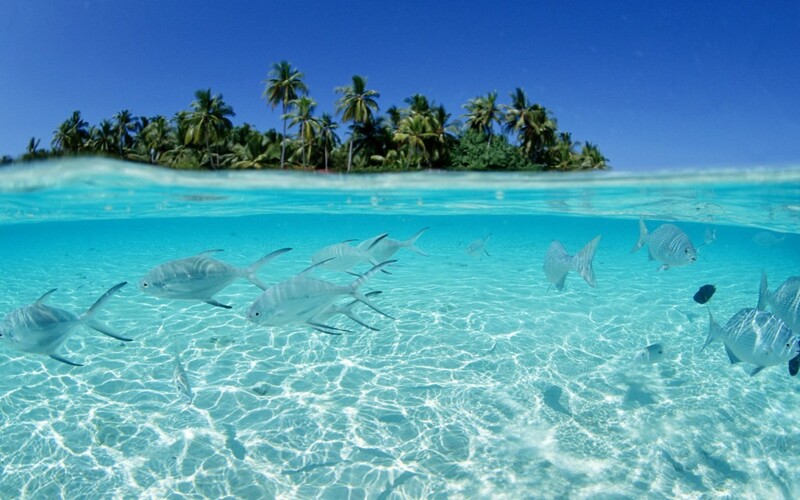 Have you ever wanted to swim in crystal clear waters, trying to catch amazing starfish? 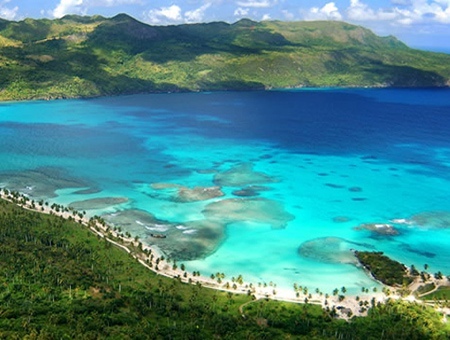 If yes, then book an adventurous tour to the island of Saona. 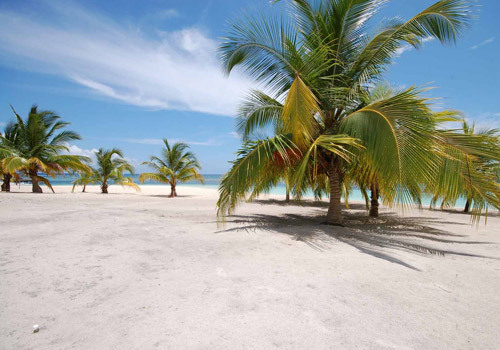 Saona is a tropical island located a short distance from the mainland on the south-east tip of the Dominican Republic. 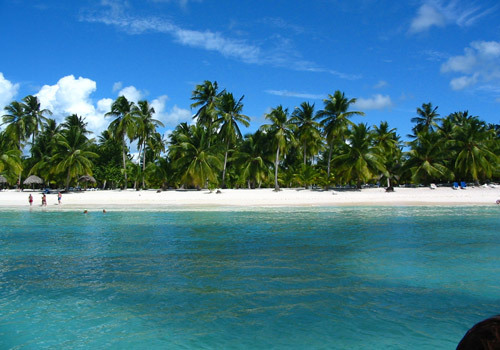 The Island is famous for the natural beauty of its beaches, and has been used on many occasions by film-makers and advertisers looking for a stereotypical “desert island” setting for their film or product. 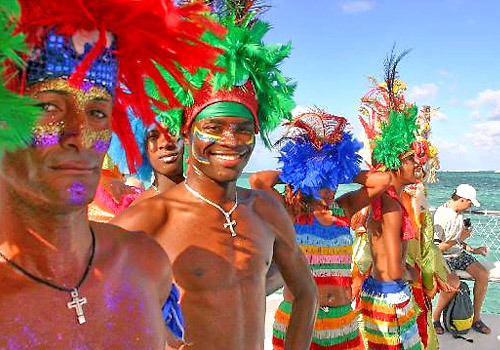 The island was baptized “Saona” by Christopher Columbus, who discovered it in May 1494 during his second voyage to the Americas. 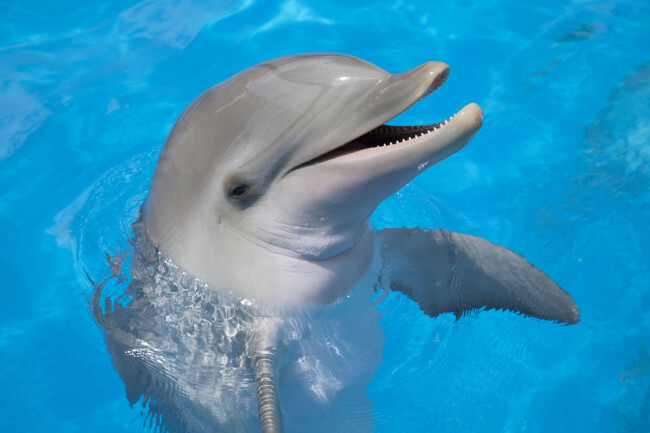 Do you want to swim with the most legendary creatures on our planet? 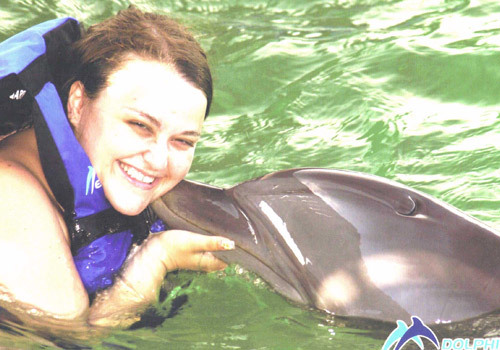 Now you have the amazing chance to swim with the dolphins, to touch them, to kiss them and to be embraced by their warmth, incredible intelligence and love. 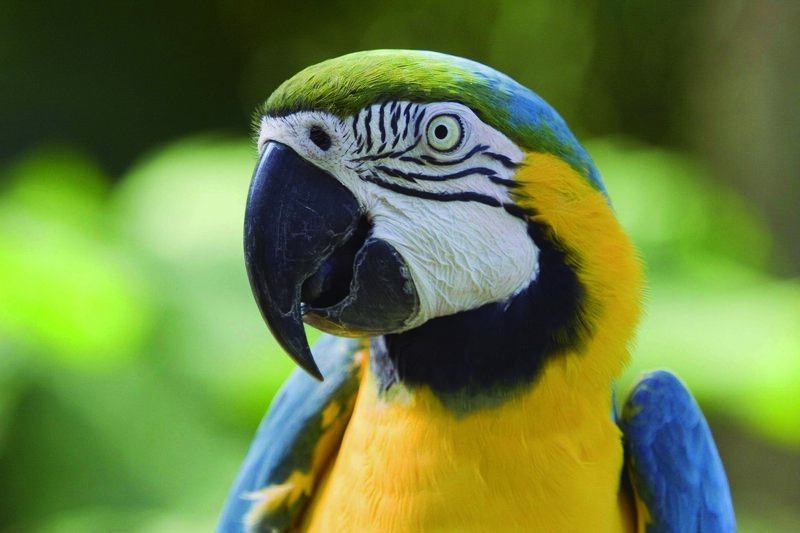 This breathtaking adventure continues with visiting an extraordinary natural park, full of parrots, iguanas, sea lions and other exotic animals. Do you like Salsa, Merenge and Bachata? 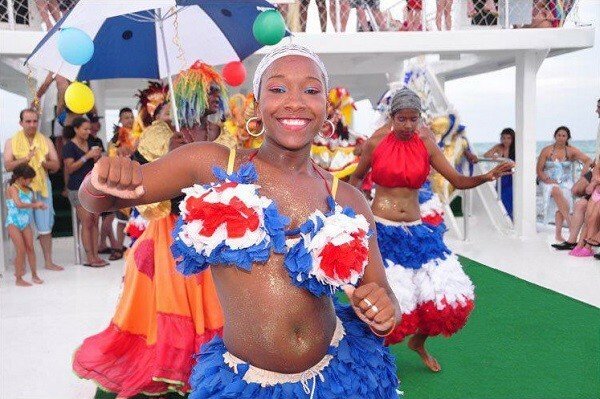 If yes, then definitely go on one of these day trip festivals, performed in a Caribbean style. 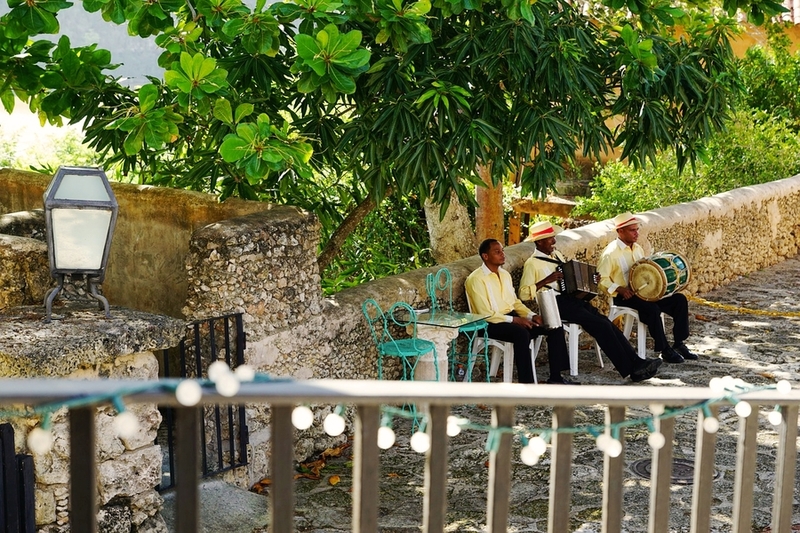 Dance and have fun, while drinking cocktails and enjoying the breathtaking view of the divine coastline of the Dominican Republic. 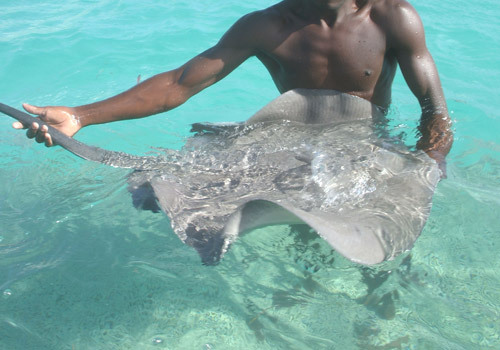 Discover also the exciting marine life, touch friendly sharks, enjoy a massage made by stingray fish, make amazing underwater pictures of the numerous colorful Caribbean fish. 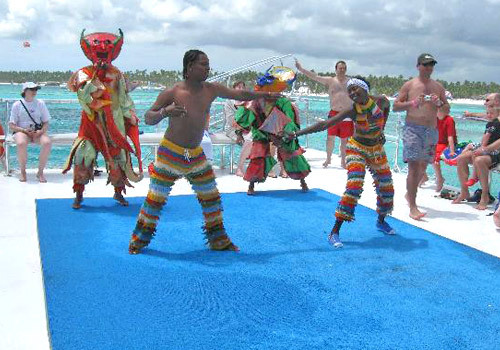 Energize yourself, have a great party and do not miss the opportunity to dance under the sounds of the Caribbean music. 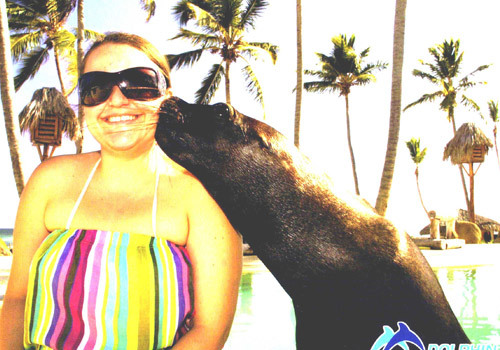 This half-day unforgettable experience is ideal for the lovers of exotic adventures. 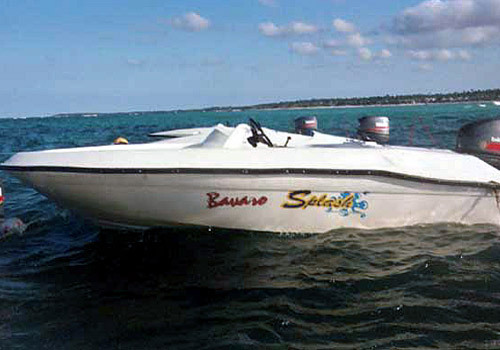 Enjoy the journey on a speedboat around the bay of Bavaro. 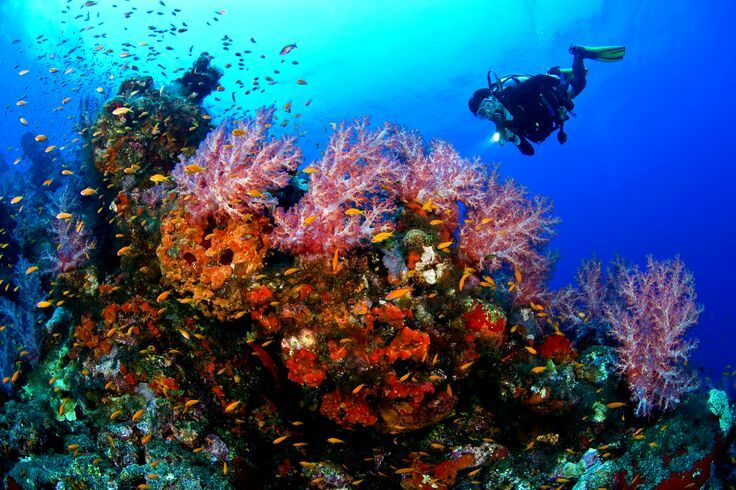 You will have the pleasure to dive into the waters of the Atlantic ocean amid some of the most beautiful coral reefs in the area. 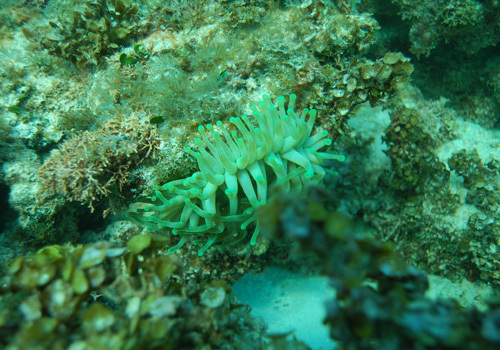 You will also have the rare opportunity to capture fish stocks with an underwater camera. You can choose different packages, depending on your Snuba Diving experience. Do you want to feel as Indiana Jones? 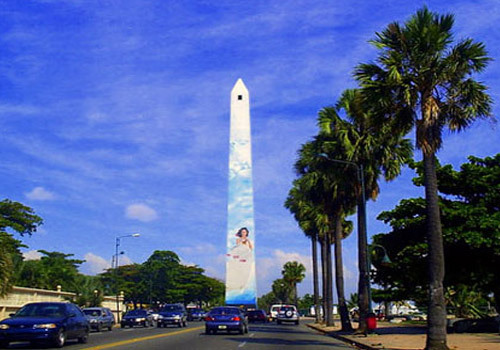 If yes, then have a grand adventure aboard a plane to one of the most exotic peninsulas of the country. 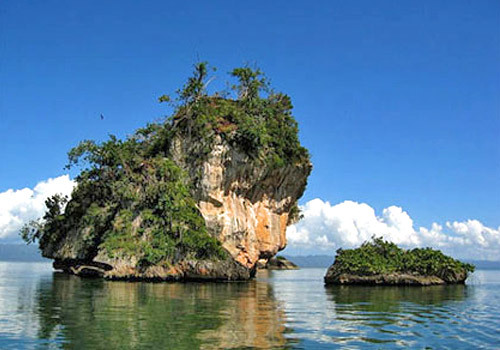 Samaná is located on the coast of the Atlantic Ocean in the northeastern part of the Dominican Republic. It is known for its beautiful mountains and fabulous beaches. 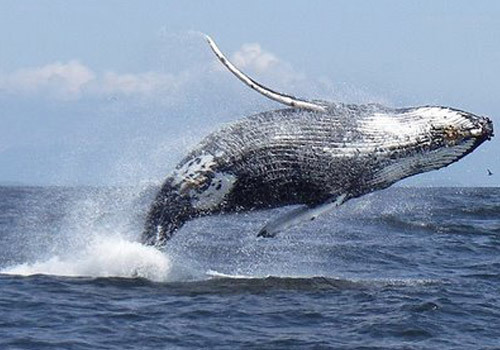 You can also observe closely the marvelous whales in the area of Samana. 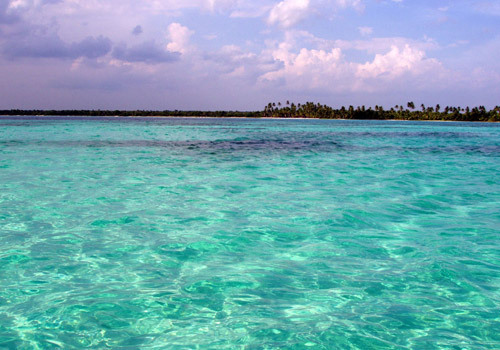 Therefore you will visit the gorgeous island of Cayo Levantado, known as the Bacardi Island. 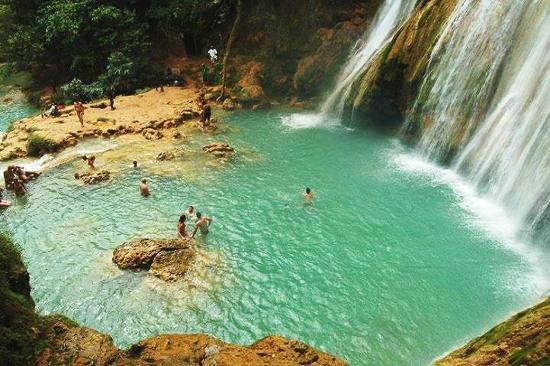 The next exciting journey is to the waterfall “El Limon”, literally translated as the waterfall of happiness. The amazing journey to the waterfall is done on horses! 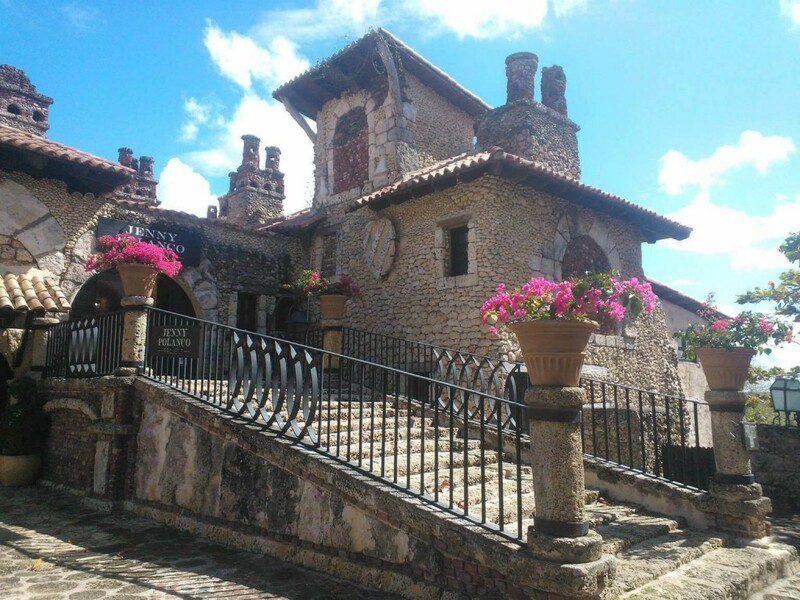 Altos de Chavón is a re-creation of a Mediterranean style European village located atop the Chavón River in La Romana, Dominican Republic. 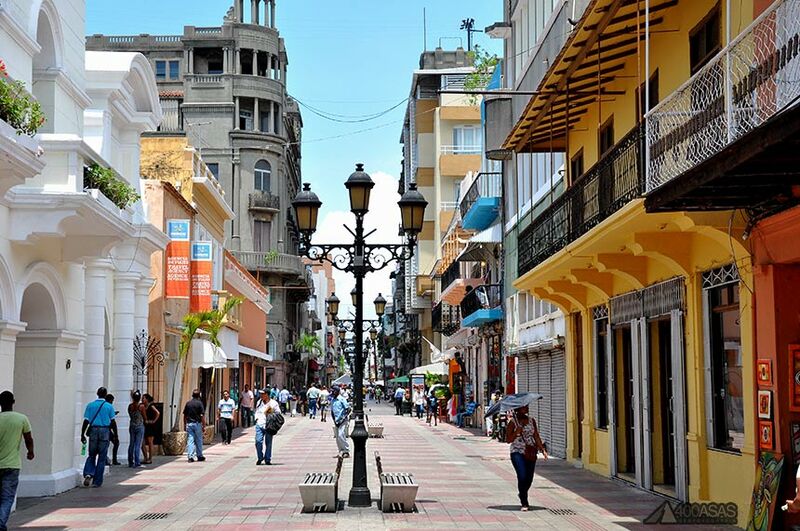 It is the most popular attraction in the city and hosts a cultural center, an archeological museum, and an amphitheater. You will have the rear opportunity to visit St.Stanislaus Church, where Michael Jackson and Lisa Marie Presley married. 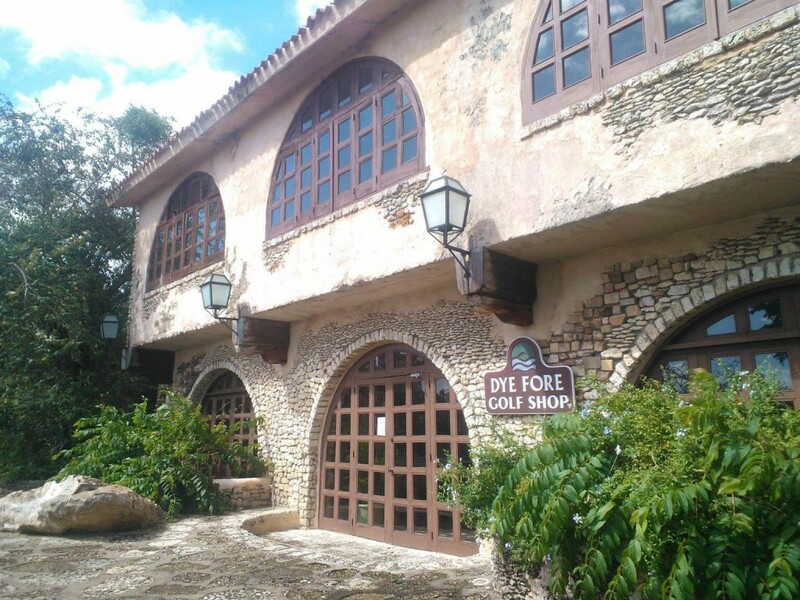 Altos De Chavon is built next to the famous river of Chavon, which was a film set to Anaconda and Rambo 2. 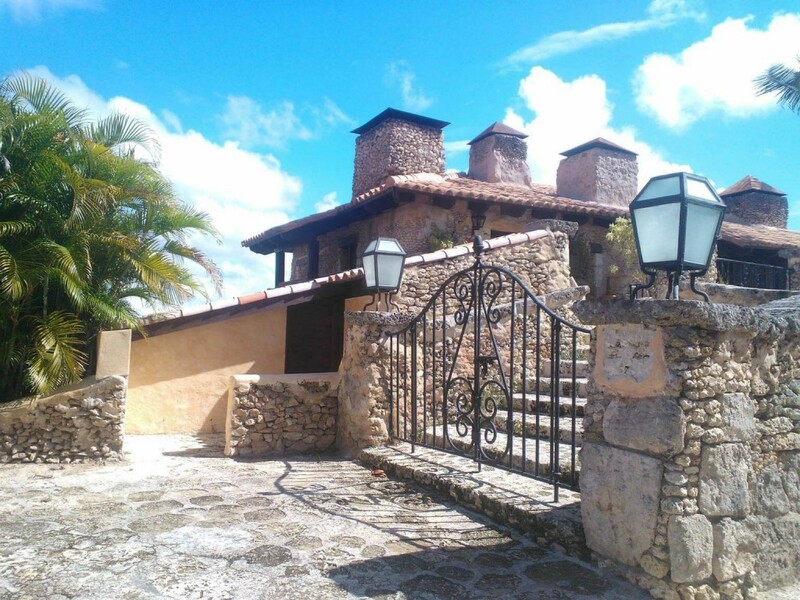 Pass by the town of millionaires, known as “Casa de Campo”, full of mansions of famous people, including Bill gates, Shakira and etc. 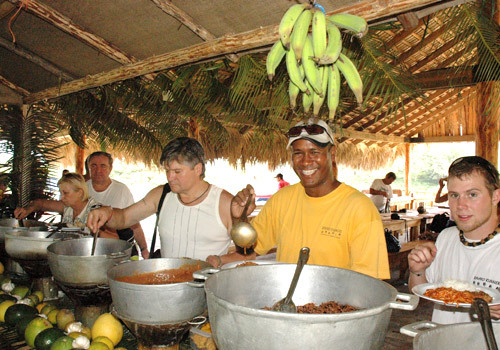 The adventure goes on with visiting the fishing village “Boca de Yuma”, where you will be hosted with special seafood for lunch in a typical Dominican Restaurant.